How to Stop Wage Garnishment with the Help of a Tax Professional? 01 Jan How to Stop Wage Garnishment with the Help of a Tax Professional? When you overlook an outstanding tax debt and intentionally avoid paying the amount owed, the IRS can garnish your wages. Are you receiving notices from IRS that it will garnish your wages? Then it could be your cue that you need help from a licensed tax professional to remove or stop wage garnishment. It’s difficult to stop wage garnishment alone without a tax professional backing you up. A licensed tax expert can help you negotiate an arrangement with the state or IRS, so you can prevent wage garnishment from taking its toll in your life. If IRS already has its hands on your wages, the tax professionals will be able to release or stop the levy, while negotiating a suitable arrangement that suits your financial standing and tax requirements. You have completely paid tax payment owed inclusive of interest and penalties. The time frame allotted for collection of tax payments has expired. What are the Ways that a Tax Professional Can Help with Wage Garnishment? While many people would choose to sort out their financial troubles alone, consulting a licensed tax professional can help you get the best results for your tax problems — and one of these is wage garnishment. A licensed tax professional can speak with the state or IRS representatives on your behalf. The most common problem experienced when calling the State and IRS is the long hold time. A tax professional can definitely help you speed things up as they have a dedicated practitioner line that can call IRS and majority of states in the U.S. Licensed tax professionals know how to play their cards well enough. They know what financial details must be disclosed and which ones are to be kept confidential. Some taxpayers make the mistake of over-disclosing financial information to the IRS, which could aggravate their situation. The latest tax gap report by the IRS is now at $32 billion for people who have not filed tax returns and $39 billion attributed to non-payment for 2008-2010; respectively. A tax professional is your go-to specialist if you are having problems with IRS and would want to prevent IRS and state wage garnishments right away. In most cases, a licensed tax professional would be able to go around any financial disputes and help you negotiate levies quickly. Depending on your financial or credit situation and tax due, a tax professional can help you achieve the best results in terms of completely resolving IRS tax problems; while in some states, tax professionals can help you reduce tax wage garnishments and other forms of levy. You can always turn your back to these people to stop wage garnishment. Wage levies are most often enforced as a result of your inability to respond to the notices and calls from the IRS and the state in line with your tax debt. Hiring a tax professional will give the state and IRS an impression that you are seriously trying to resolve the dispute. Currently, IRS revenue officers prefer to discuss and communicate directly with tax professionals because this allows faster resolution and win-win arrangements. Most taxpayers do not have a clue on what their tax options are. Most likely, state and IRS representatives would not even give you recommendations or advice. A licensed tax professional always has your best interests in mind. He or she will assess your current financial situation and, from there, determine whether you qualify in some of the IRS and state tax programs. The tax professional will help you get the best payment plans that can solve your financial and tax debt problems. If you’re looking for the best way on how to stop wage garnishment, then that is getting a tax professional. Tax resolution firms and tax professionals have an extensive experience in negotiating with the IRS. They know and understand the requirements, timeframe for filing, and deadlines. Their expertise in tax resolution will help you get the best arrangements to settle your tax debt. How Does a Tax Relief Process Go? The process starts by requesting a free consultation with IRS and state wage garnishment. 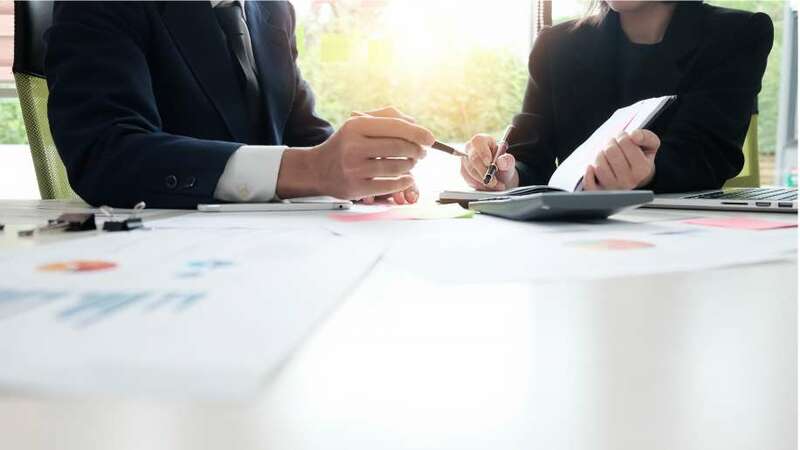 First of all, you will need to choose a licensed tax specialist or tax resolution firm that can provide a comprehensive and unbiased analysis of your financial and tax situation. The tax professional can assess your current financial standing by asking you a few questions related to wage garnishment notices and your outstanding tax debt. They could ask about the start date of the wage garnishment and tax owed. They would ask about the notices from IRS, the date you received the letter, and if the notice is duly certified. The tax professional will also ask you about your tax and financial situation. You should prepare for the consultation by reviewing your financial information like your monthly income, expenses, assets, and debts. If you are not sure with your financial data, then you can get free consultation from a licensed tax professional. The investigation would usually require that you get the account transcripts from the State or IRS, so you can check and verify tax filing and payment. This process will allow you to retrieve information regarding the years that you will have to file, how much you have to pay for each tax year, as well as the interest and penalties. After your financial standing and case details are reviewed, the firm will lay out tax options that are applicable to your case. The tax professional will also assess whether you will qualify in any of the tax resolution programs. He or she will also explain the pros and cons of each tax option. The fervice fees will also be explained for you to get you in good credit standing with the state and IRS. In the event that you decide to go for a tax option (with no obligations), the licensed tax specialist will send you a limited power of attorney (POA) to review and he or she will negotiate with the state or IRS in your behalf. POA will also instruct the state and IRS to communicate directly with the tax specialist. In addition, all emails and letters will be forwarded directly to the tax professional. If you would need help with tax filing, you have to comply to some requirements. If you do not have an old W2s or 1099s, the tax specialist may request for an income or wage transcripts for record purposes. Once the tax resolution is complete, the assigned tax professional will still continue to guide the taxpayer to avoid future problems on tax payments.